The intractable insurgency: more violence in Marawi? A hollow response to the Marawi siege could invite a new terrorist wave across Southeast Asia. 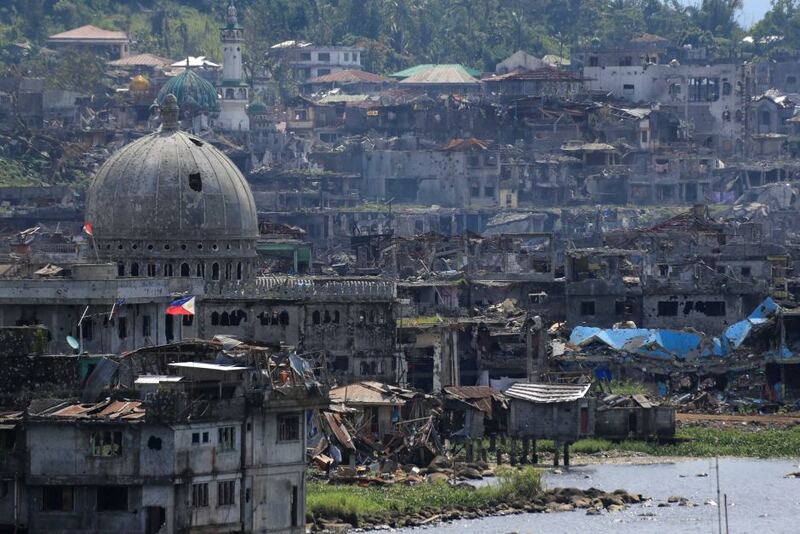 The Philippines military has recaptured Marawi, a large city in the southern Philippines that was held by ISIS-affiliated militants from the Maute Group and Abu Sayyaf. Over the last six months, some 1,131 people—including 919 ISIS-affiliated terrorists—have died during the siege of Marawi. The fighting began on May 23 as the Philippines military tried to capture Abu Sayyaf leader Insilon Hapilon, who pledged his allegiance to ISIS in 2014. Hapilon was allegedly in Marawi meeting with the head of another terrorist organisation in the Philippines, the Maute Group, which pledged allegiance to ISIS in 2015. While Hapilon was killed by the Philippine armed force (AFP), it is expected that dozens of terrorists who had been fighting in Marawi escaped via tunnel networks into the surrounding jungle. 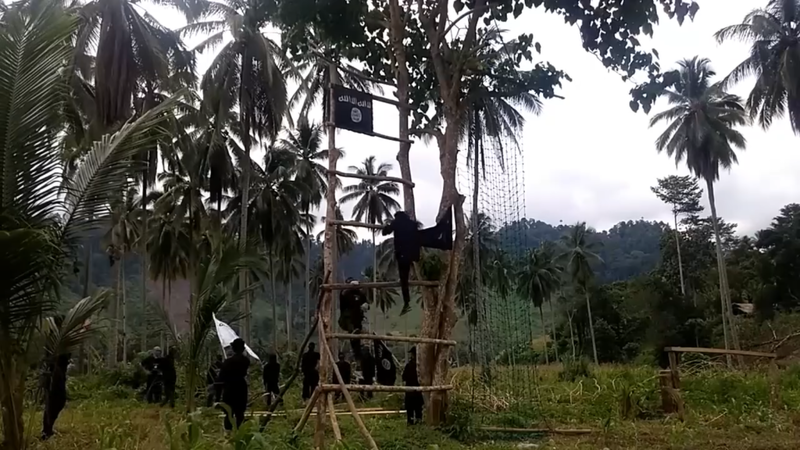 Abu Sayyaf and other terrorist organisations based in the Philippine Island group of Mindanao have historically used this terrain to plan and train for their upcoming operations. The battle for Marawi has broader strategic implications that extend beyond the Philippines and throughout the Muslim communities of Southeast Asia. The June edition of Rumiyah, ISIS’s propaganda magazine, was titled The Jihad in East Asia. This publication aimed to recruit and inspire those who live in Southeast Asia to join the jihad in Marawi as it was more accessible than Iraq or Syria, and played on long-standing political undertones of Muslim political oppression in the Philippines. This magazine likely contributed to radical Muslim extremists from neighboring countries such as Indonesia and Malaysia journeying to Marawi to act upon their politico-religious ideologies. Middle Eastern-rooted extremism has been commonplace in Southeast Asia dating back to the 1990s. Groups such as Jemaah Islamiya, the Moro Islamic Liberation Front, Abu Sayyaf, and the Moro National Liberation Front, among other less prominent groups, have pledged allegiance to al-Qaeda and more recently to ISIS. Likewise, these groups have been known to work together to support one another in their political struggles to create autonomous regions or independent states. The linkages among Southeast Asian terrorist groups, as well as their funding and relationships with global organisations such as al-Qaeda and ISIS, have been the foundation for the dozens of terrorist attacks that have taken place in the Philippines, Malaysia, and Indonesia in recent years. The coordination among regional terrorist organisations has been met with an inter-regional response to counter the rise of violence in Southeast Asia. 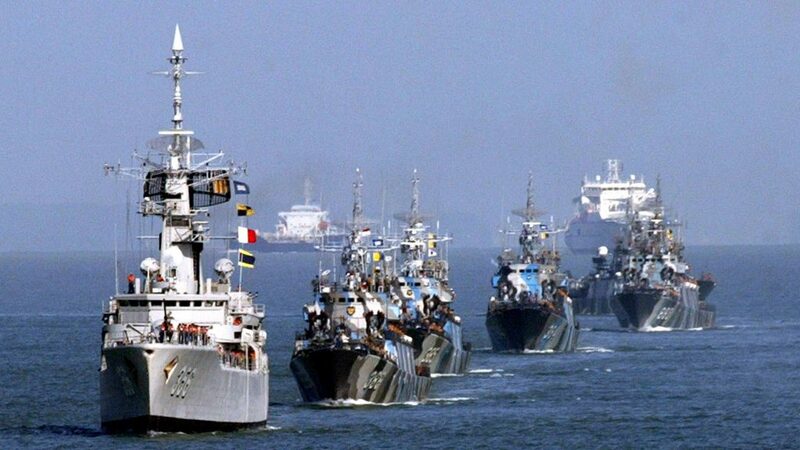 In April 2017, Indonesia, Malaysia, and the Philippines announced an increase in joint naval patrols with the aim of intercepting ships carrying illegal goods such as firearms, and hindering the movement of terrorists throughout the region. Additionally, on October 24, 2017, the Australian government announced that it reached an agreement with Manila to enhance their coordinated efforts to fight terrorism in Mindanao. This will build upon the military assistance that Australia was providing during the battle for Marawi, where special forces units were reported to have been deployed in an advisory capacity. The international response to the growing security crisis in Marawi is in large part due to the security dynamics in the Middle East. While ISIS has been steadily losing ground in Iraq and Syria since 2014, they have seen a surge in support in Southeast Asia, and in particular, the region of Mindanao in the Southern Philippines. The potential for increasingly destabilising terrorist activity in Southeast Asia has therefore caught the attention of extra-regional political actors such as Australia and the US, as well as the countries that it may have the greatest impact on, the Philippines, Indonesia, and Malaysia. Despite the announcement of increased joint naval patrols between Indonesia, Malaysia, and the Philippines, extant geopolitical concerns to which these countries have already committed maritime assets will likely remain the priority. Under President Widodo, Indonesia has been pursuing its “maritime fulcrum” initiative, which has aimed (in part) to securitise its own archipelago. Similarly, Malaysia has devoted its naval resources to securing the Malacca Strait for the free passage of oil tankers as the waters are a lifeline for the country’s economic well-being. Moreover, the Philippines Navy is preoccupied conducting operations in the disputed waters of the South China Sea, as well as pursuing counter-narcotics trafficking efforts to help fight President Duterte’s war on drugs. Consequently, while Mindanao is the epicenter of regional terrorist activity, and an increase in joint patrols would make the illegal transportation of goods and people more difficult, each country’s individual prioritisation of geopolitical or domestic concerns will likely trump the collective goal of pacifying and stabilising Mindanao. The current patrols that Malaysia, Indonesia, and the Philippines are undertaking will likely continue. However, the naval assets of these countries are stretched thin and a substantive increase in joint operations is unlikely to occur. Extremists are therefore likely to continue to make their way to the jungles of Mindanao to advance their radical agendas. The anticipated increase of foreign fighters travelling to Mindanao has the potential to give rise to asymmetric warfare. The region has historically been home to insurgent organisations that have used the jungle to avoid detection, and the pairing of the jungle and guerrilla warfare has been a mainstay in Southeast Asian security dilemmas dating back to the 19th century. But now local knowledge of jungle warfare could be paired with the ISIS’s organisational shift from a governing actor to asymmetric militia. The potential for an international influx of money and arms from Muslim donors around the world has the potential to escalate the levels of violence throughout the southern Philippines. Sovereign self-interest will complicate the push toward eradicating large-scale organised Islamist militancy in the region, as it has for the past 40 years. However, what has changed in recent years, due to the unifying role of ISIS, is the level of coordination between Southeast Asian Islamist terrorist organisations. These inter-organisational relations have the potential to be the catalyst for increasing levels of violence in Mindanao. Crucially, further violence in the southern Philippines could potentially destabilise the region if a coordinated response from the Philippines, Malaysia, and Indonesia fails to have an impact on the transportation of arms and foreign fighters to Mindanao. In this way, underwhelming coordination or half-measures may not be enough to prevent an escalation of violence directed at major metropolitan centers in the Philippines, or pending the return of foreign fighters, Southeast Asia as a whole.